The militants 32 times violated the ceasefire regime in the ATO zone. Over the past day, the situation in the area of the anti-terrorist operation in Donbas somewhat stabilized by the evening but still remains unsettled as Russia-backed terrorist forces continued the shelling of Ukrainian troops using heavy mortars along the contact line. In a Wednesday report, the press center of ATO said on Facebook that Ukrainian forces sustained combat losses: five ATO received injuries, another received a military trauma and, unfortunately, Ukraine lost two defenders." 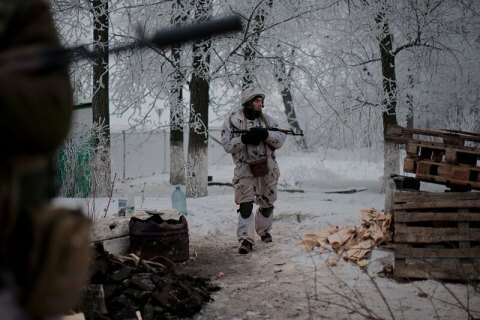 In the Luhansk sector, militants pounded after dark the fortifications of ATO forces in the outskirts of Travneve from mortars, and fired small arms at the defenders of Stanytsya Luhanska. In the Donetsk sector, the terrorists fired 82-mm mortars and grenade launchers at the ATO positions in Novotroyitske, Lebedynske and Butivka coalmine. The enemy, in violation of the ceasefire deal, shelled Hnutove from the weapons of the infantry fighting vehicles and machine guns. Verkhnyotoretske and Starohnativka came under the fire of light infantry weapons. "In just the past day, Russian-terrorist forces 32 times violated the ceasefire. In more than half cases Ukrainian troops returned fire to suppress the fire of the opposite party," ATO HQ said. The US Special Representative for Ukraine Kurt Volker has recently said the main difficulty in working to resolve the crisis in Donbas is that Russia strenuously denies its role in the conflict.